Scott completed his PhD at the Crawford School of Economics and Government and was awarded his PhD in Public Policy by the Australian National University (ANU). He also holds a M.A. in Strategic Studies from the ANU, and a B.A. from the University of Canterbury, New Zealand. In 2013 Scott will be a Visiting Fellow at the International Center for the Study of Terrorism, Penn State University. 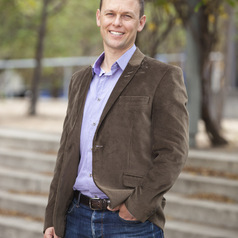 Scott's current major research projects include a collaborative study with 16 other scholars on the Tablighi Jamaat, the world's largest transnational Islamic Missionary Movement and fieldwork among Muslim communities in the Solomon Islands, Vanuatu and Fiji in order to understand the establishment, growth and nature of Islam in Melanesia. This latter research builds upon Scott’s PhD which examined the growth of Islam in Papua New Guinea.